A fascinating memoir from the man who revitalized visual geometry, and whose ideas about fractals have changed how we look at both the natural world and the financial world. Benoit Mandelbrot, the creator of fractal geometry, has significantly improved our understanding of, among other things, financial variability and erratic physical phenomena. 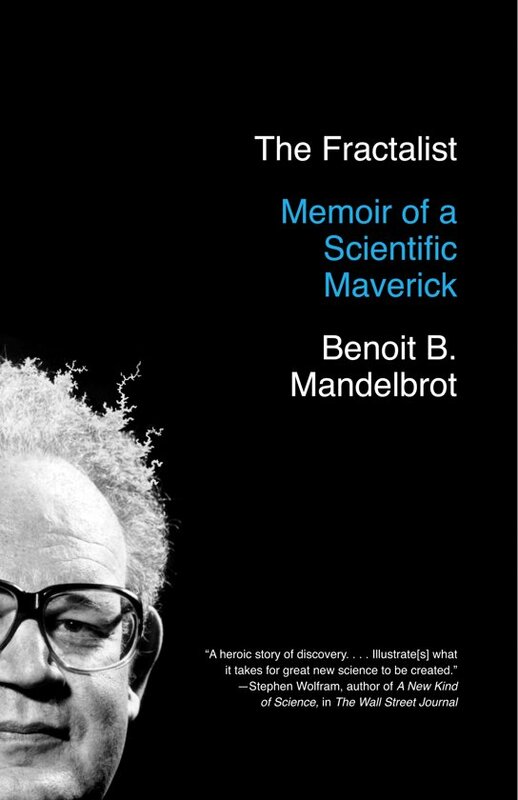 In The Fractalist, Mandelbrot recounts the high points of his life with exuberance and an eloquent fluency, deepening our understanding of the evolution of his extraordinary mind. We begin with his early years: born in Warsaw in 1924 to a Lithuanian Jewish family, Mandelbrot moved with his family to Paris in the 1930s, where he was mentored by an eminent mathematician uncle. During World War II, as he stayed barely one step ahead of the Nazis until France was liberated, he studied geometry on his own and dreamed of using it to solve fresh, real-world problems. We observe his unusually broad education in Europe, and later at Caltech, Princeton, and MIT. We learn about his thirty-five-year affiliation with IBM's Thomas J. Watson Research Center and his association with Harvard and Yale. An outsider to mainstream scientific research, he managed to do what others had thought impossible: develop a new geometry that combines revelatory beauty with a radical way of unfolding formerly hidden laws governing utter roughness, turbulence, and chaos. Here is a remarkable story of both the man's life and his unparalleled contributions to science, mathematics, and the arts.